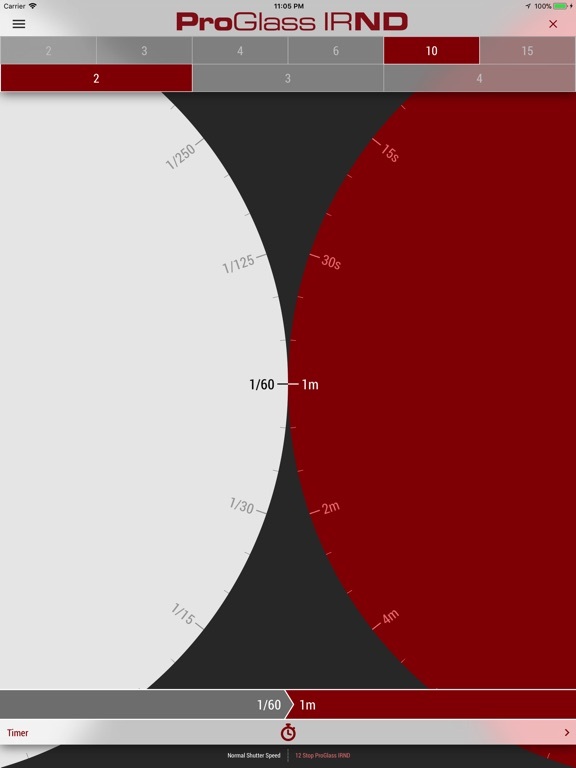 This is the official exposure guide for photographers using LEE Filters range of ProGlass IRND filters. 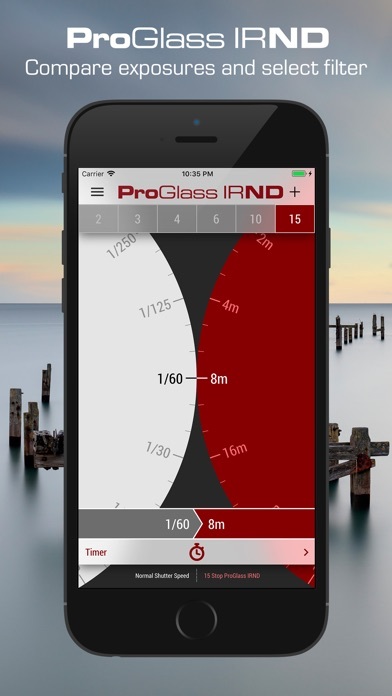 Simply dial-in your metered shutter speed and then tap to calculate the adjusted exposure with any of the ProGlass IRND filters. 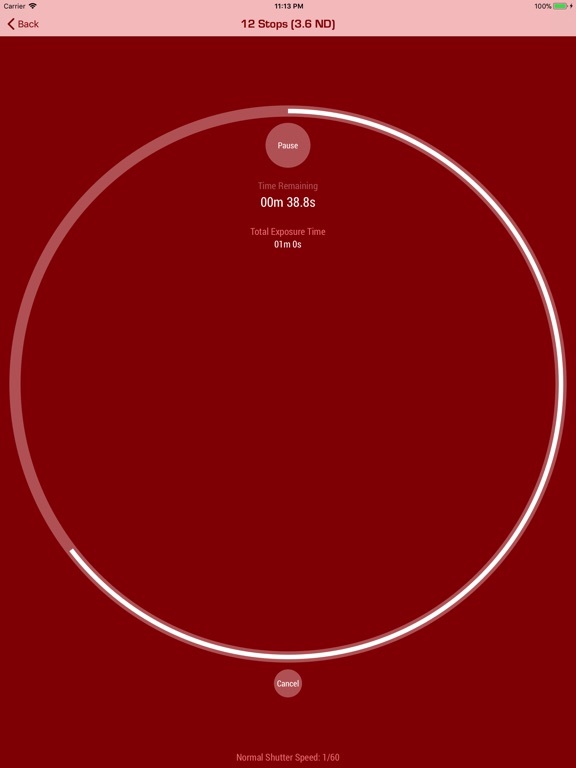 Tap again to start a countdown timer - especially useful for very long exposures. 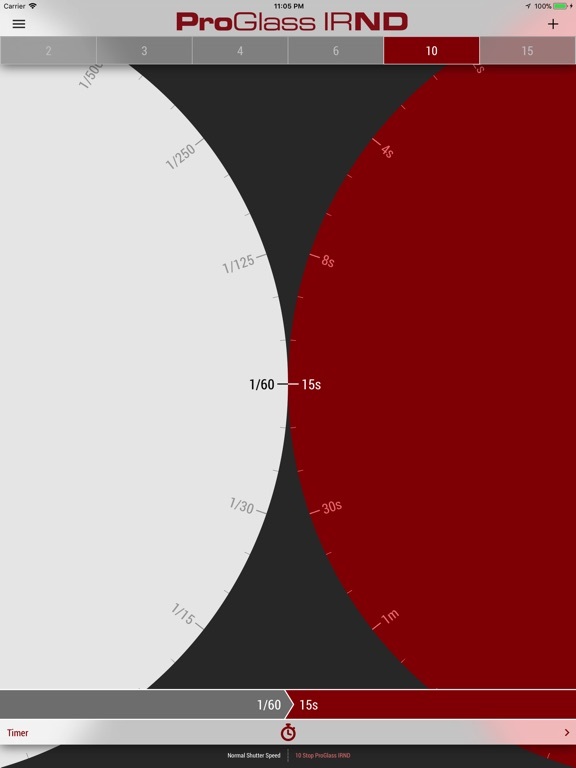 Switch between the 2, 3, 4, 6, 10 and 15 stop filters, or if you prefer adjust the setting to show the ND values (0.6, 0.9, 1.2, 1.8, 3.0 and 4.5 ND). 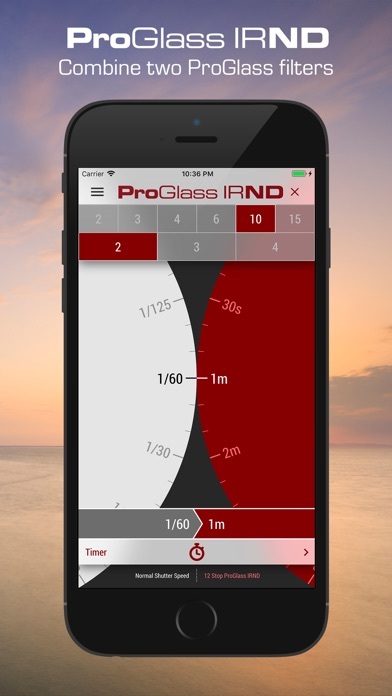 You can also combine two ProGlass filters for even more exposure flexibility. 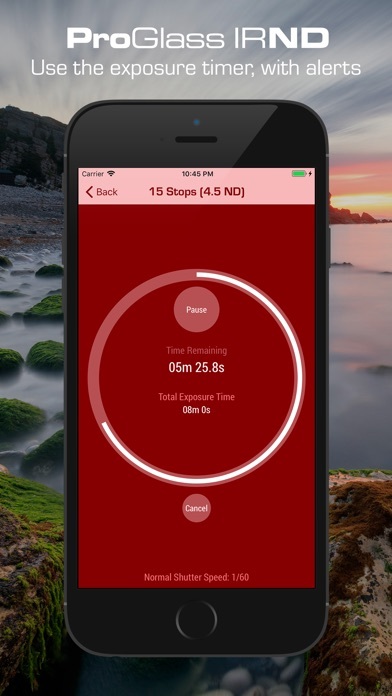 The app is designed for fluid and precise operation in the field, with a full range of shutter speeds in 1/3 stop increments and all the controls right under your thumb. 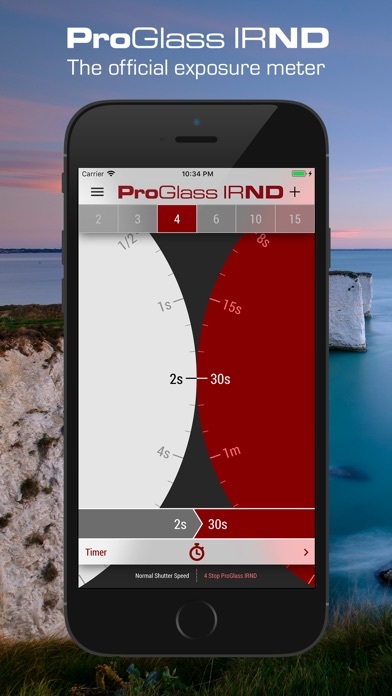 You can now combine two ProGlass filters and use the app to work out the total exposure time. 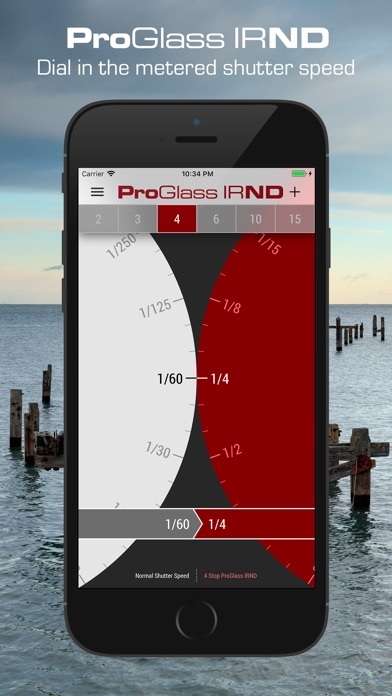 Select any ProGlass filter, hit the + button and add an additional 2, 3 or 4 stop ProGlass for up to 19 stops of exposure adjustment!